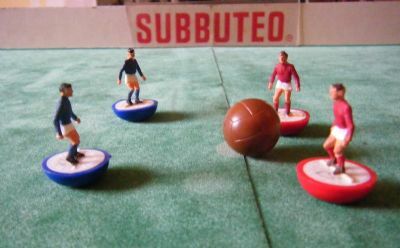 A cracking adaptation of Subbuteo that recreates indoor five a side football. A well designed pitch and goals make this a pleasure to play. 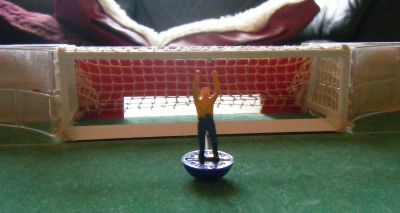 Trying to recreate the excitement of the then very popular Daily Express five a side championships at Wembley Arena. 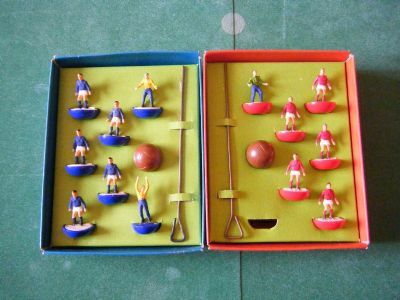 Two teams in their own boxes which include two keepers each. There were two versions of this game. 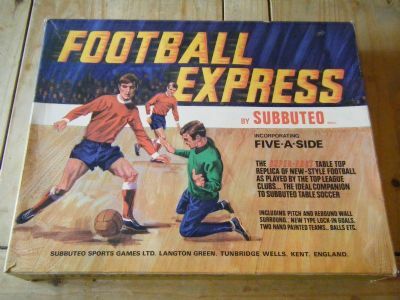 This one has a folding pitch and another version was created with the pitch as a single large tray in the box. The other version was obviously double the size. Great textured pitch and surround walls mean that the ball is always in play. 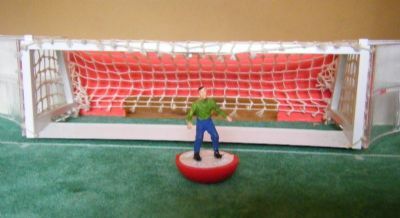 This is the free standing keeper with no rod - ideal for making mad dashes from the penalty area. 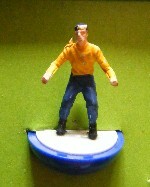 This is the more conventional keeper on a rod ready to pull off amazing diving saves.